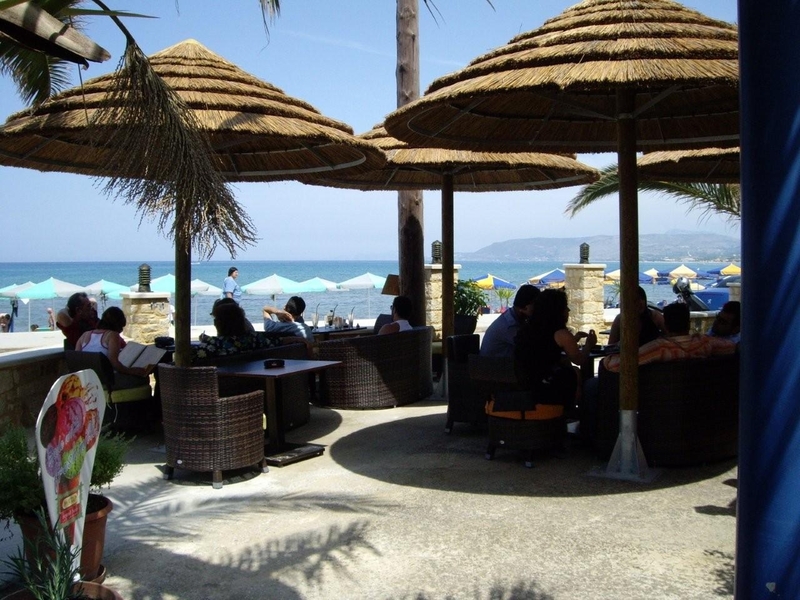 Summertime Beach bar is located on the north-west coast of Crete, on a nice little village called Georgioupolis. 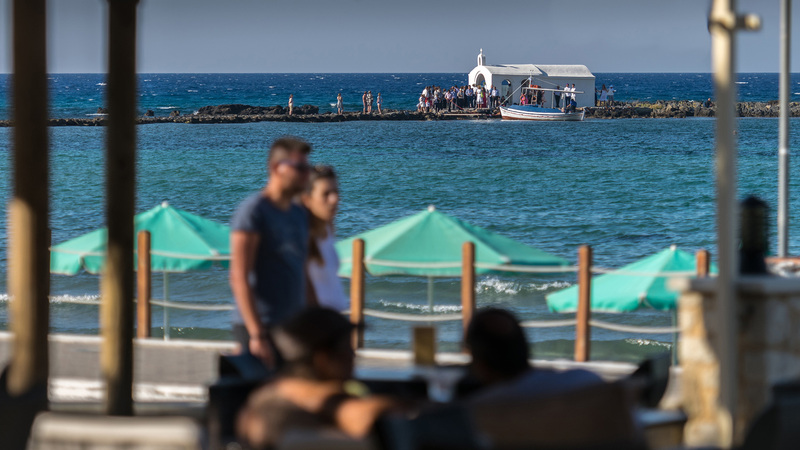 The visitors will find an ideal place to relax and listen to nice music, enjoy their drinks and snacks, as well as the breathtaking view of the blue sea and the traditional little chapel of St. Nicolas. 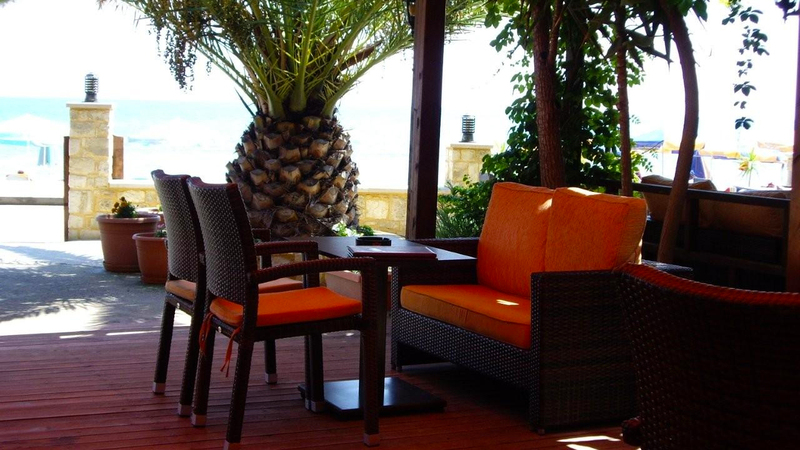 Photos of Summertime Beach Bar. 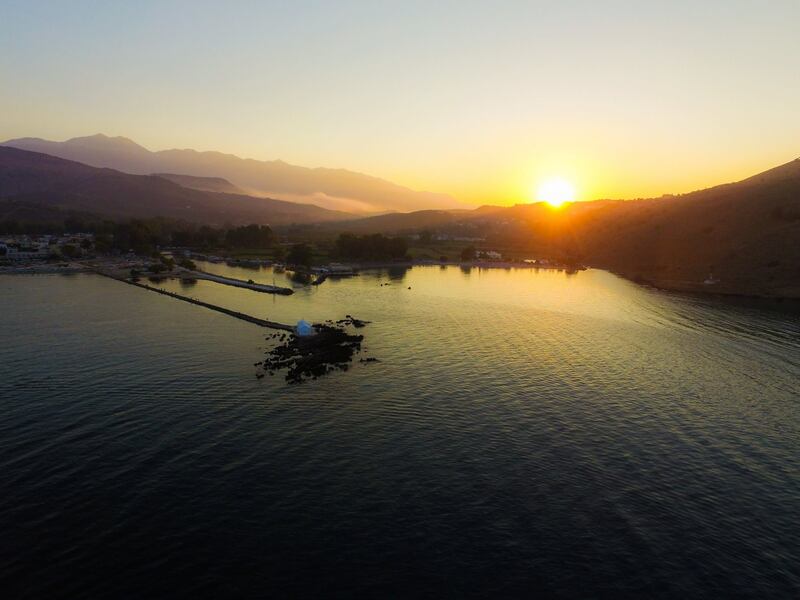 Georgioupolis is a small village, located at Crete,the biggest island of Greece. It is a very nice place with many beautiful things to see. There are lots of trees, small rivers flowing into the sea, nice 16Km beach for swimming and enjoying the sun, lakes, wild nature (sea turtles, exotic birds etc. etc.). 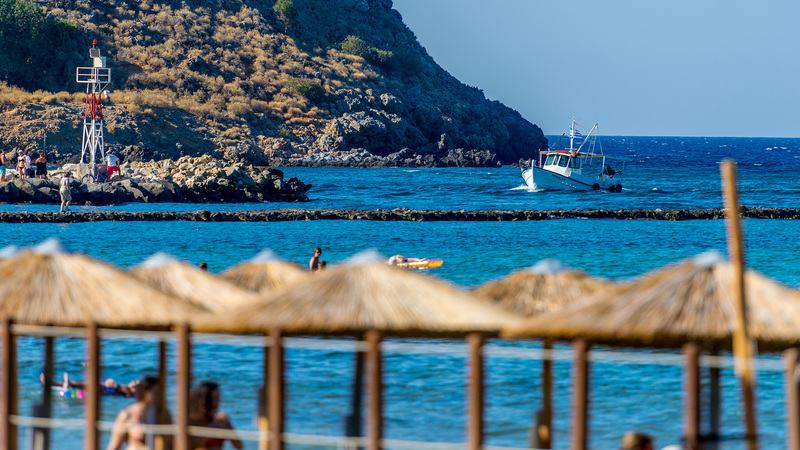 Every summer, thousands of people from all over the world, are visiting Georgioupoli. Many of them, keep coming every year. Some stayed forever. The population of the small village, is not more than 800 people at winter time. 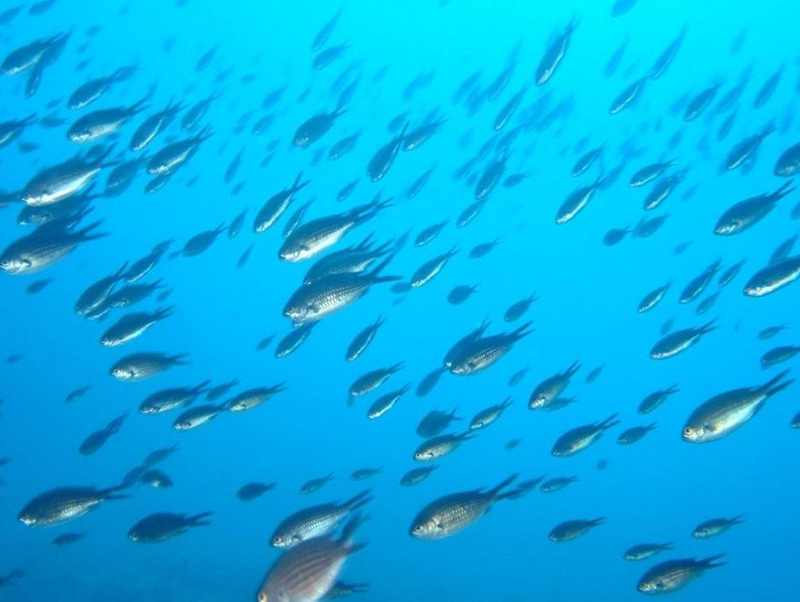 Most of them live from agriculture, fishing, and tourism. 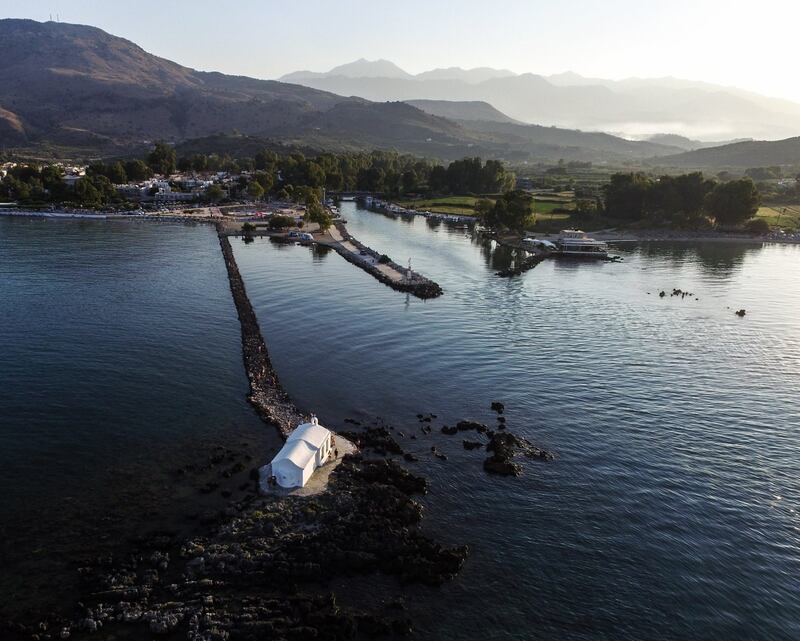 The largest river of the area is called "Almyros" and it is the port of Georgioupolis. Every morning, the fishermen go fishing and bring variety of fresh fish. The river is very calm, and that makes it easy to park their small boats. In summer season, the visitors can rent a small canoe and go inside the river. There, they can experience the wild nature by watching the small turtles, the ducks, and the fish! At the right side of the river, there is a path made or rocks, that leads to a small beautiful church. The name of this church is St. Nicolas. It is said that it protects the fishermen and gives them strength to do their hard work. 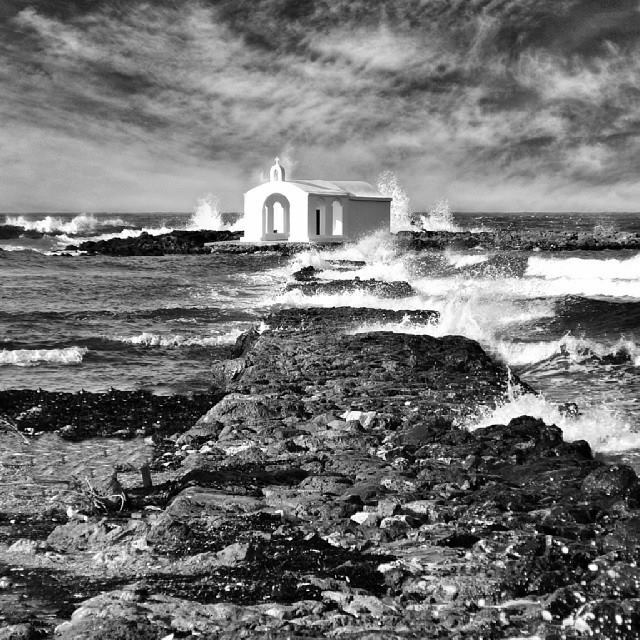 Sometimes in the winter, when the wind is strong, you can see large waves swallowing the little church. This is really a unique nature sight, especially if you are a photography enthusiast. The people who like swimming they will find their paradise. 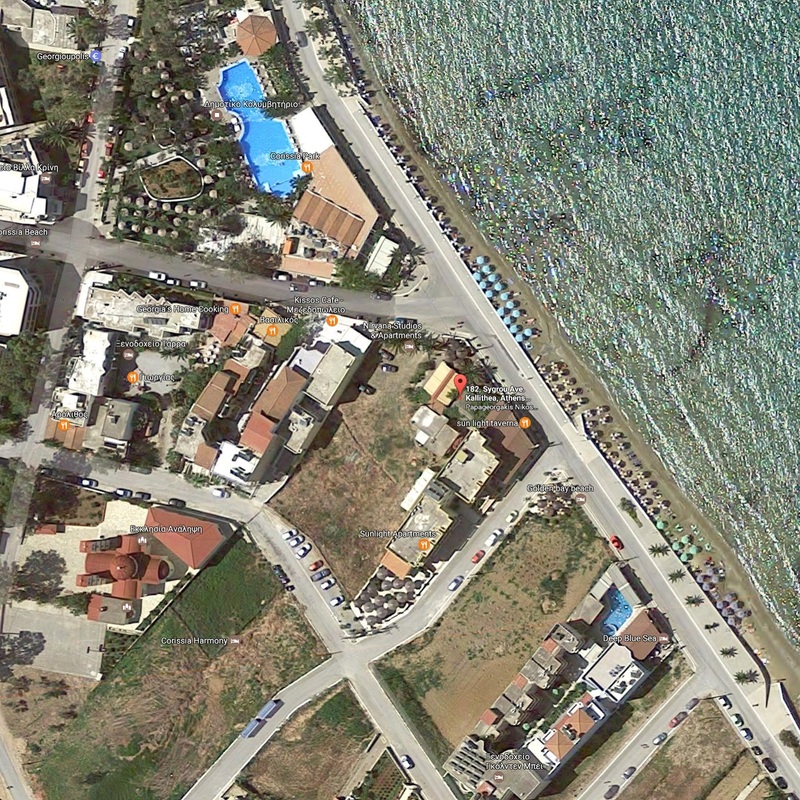 When the visitor arrives to Georgioupoli, he can see one of the largest coasts in Greece. Sixteen kilometers of pure sand and clean sea to enjoy swimming under the beautiful and hot sun of Greece. At some places, there are also sun-beds and umbrellas to rent at very good prices. Summertime Beach is one of these, which is well organized, providing shower and w.c. to their guests so that they feel comfortable. At the center of the village, there is a small square . It is the night tourist attraction, because there are a lot of cafe bars, where people can enjoy music and have fun. At the center of the square, there is the statue of Miltiades Papadogiannakis, the man who built Georgioupolis at 1890's. Today, all village is laying under the shadow of big eucalyptus trees. Old villagers, they use to boil the leaves of these trees and breath the hot steam, to fight against asthma disease. Eucalyptus methods, really help a lot. 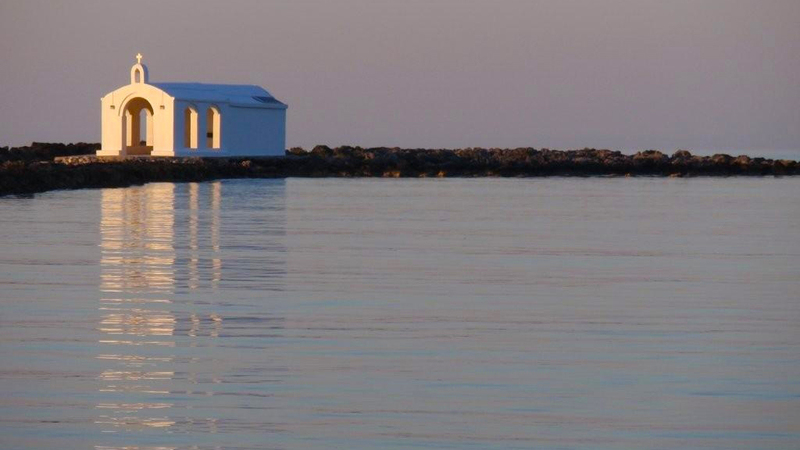 About 2Km from Georgioupoli, there is the big lake of Kournas. It is surrounded by high mountains. Around the lake there are some nice taverns that offer traditional food. The water of the lake is very clean. Visitors may swim, or rent a sea bike to do the tour of the lake. There is a local myth about a village that was swallowed by the waters of that lake, and a very beautiful girl that used to live there. I really don't know much about it. Every year, there are many happenings at the lake, like music concerts and theatrical events. The country of Apocoronas, like all others, was a place of struggle against several conquerors of the island, due to its strategic importance. The Venetians had built a castle near the river Almyros, which fell to Cretan hands in 1262. That same castle was later conquered either by Turks or Cretans. During the great revolution of 1921 against the Turks, the castle was capture once more by the Cretan revolutionists and was demolished. The valley of Apocoronas and especially the area of Almyros - which was also the only way to Rethymnon - was often a place of conflicts. On a near-by hill, arcaiologists estimate the ancient city of amfimala. After the destruction of the old Venitian and Turkish castles, the area was called "Paliocastella" (That means "Old Castles"). The river of Almyros , with its slightly salted water, united with the river of Vrisses, reached the sea, forming thus a larger river where small sailing-boats could enter the inner parts of the area. 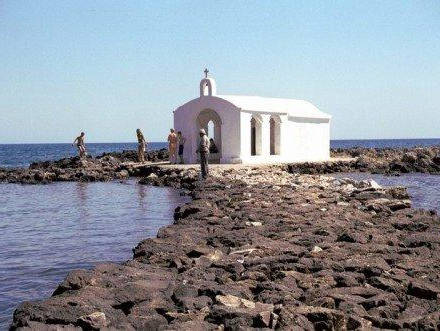 In the gulf there was (and still is) the small island with the chapel of St. Nicolas. The whole place gave shelter to bandits, the areas were not cultivated, rivers and streams were often flooded and the land was full of moors, mostly to the eastern part of Almyros river, and most of the inhabitants suffered from malaria. During the Turkish occupation the Governors General Adosides pasha and Anthopoulos pasha visited the area, in order to work out the sanitation, cultivation, as well as security of the place, but, due to heavy cost, all plans were abandoned. In 1880 Miltiades Papadogiannakis, a merchant, comes from Athens and often visits the area, working out several methods of sanitation and development of the land. He starts a long correspondence with the administrative heads, presidents etc. of the near-by cities and villages. In September 1884, he buys the first piece of land and builds a small house. He continues his correspondence and he finally settles down there in 1892, almost alone in the area. In spite of all difficulties, the inauguration of the new town is appointed to be held on March 30th 1893. Three thousand people attended the ceremony, along with the authorities of the country as well as the city of Chania. The new town was named after Almyros river: Almyroupoli. The very day of the inauguration of the town, a 20-membered committee was formed and was appointed to forward a report to the Governor General, asking for an engineer to make the plan of the new town and propose solutions on the sanitation of the area, a bridge to be built over the floating river, the establishment of an open market twice a month, Ascension-Day to be a local holiday and finally a loan to be granted to the inhabitants, so that they could cultivate the land properly. 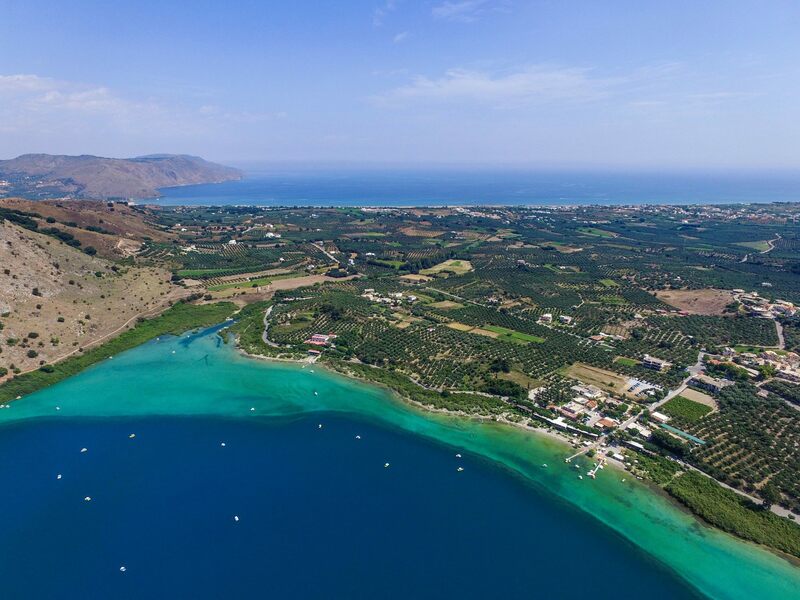 After a few months a skilled engineer, Michael Savvakis came to Almyropoli and made the draught-plans of the new town, the people started building houses and planting trees, several professions established there and goods were transported by sea to other parts of Crete. Papadogiannakis continues his correspondence with the authorities and the press of Crete assists him by publishing several articles on the creation and development of the town. But the troubled years of the last revolution against the Turks caused disorder again and bandits appeared once more in the area. The inhabitants of Almyroupoli helped the Cretan revolutionists. Under Papadogiannakis guidance, there was a school established in town with approximately 95 students during its third trimester and later (1899) 105 students. In 1898 the Island of Crete became independent, the Cretan State was established and Prince George was appointed to be the first high Commissioner of the State. One year later Almyroupoli was re-named after Prince George, to Georgioupolis. The sum of 6.000drachmas was spent for the sanitation of the land, digging big ditches and conveyance of the stagnant waters to the sea. There were a lot of people suffering from malaria, a fact enlarged also by rumors on health conditions of Georgioupoli. The bank agreed to a loan so that a Court House was built there; but the court was transferred to another town. In April 1902 Georgioupoli was appointed as the capital of the country, but later the capital was also transferred elsewhere. In March 1903 Prince George, the High Commissioner visits the town and in April the town Council asks the Cretan Parliament for an Agricultural station to be established in Georgioupoli, as well as a salt store-house, the construction of a public road and the arrangement of the rivers' waters. 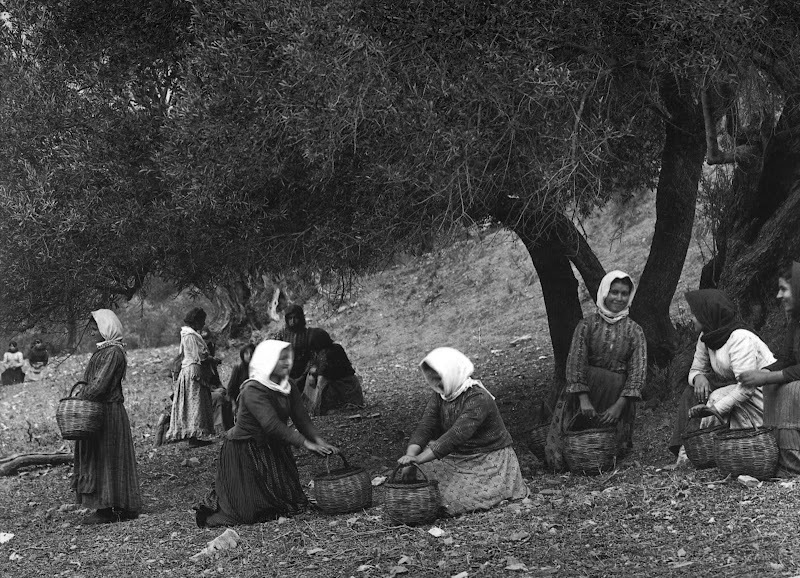 In 1906 an Agricultural Society is founded by Miltiades Papadogiannakis, the founder of Georgioupoli itself. The High Commissioner approves its statue and the Society starts working, cultivating the land, planting trees and especially eucalyptus against malaria, digging ditches leading stagnant waters to sea and - through proclamations - asking for seeds, plants, agricultural tools, as well as publications and articles on agriculture, sanitation and cure of malaria, while a lot of small trees were forwarded all through the island. The Society continues working but also proposing solutions not only for the sanitation but also the development of the area, and the health conditions of the inhabitants. That's why they not only addressed the authorities with specific propositions, but also bought quinine and distributed it to ill people. In 1910 a group of officials visits Georgioupoli, among them the head of Public Works and forward to the Administration a report on the condition there and proposing the works to be done to improve and develop the area. Having done a tremendous work in Georgioupoli, the Agricultural Society stops working in1912 due to the war and economical problems. It had changed the whole area from a dangerous and unhealthy place to a prosperous one with thousands of eucalyptus trees been planted and the town larger and healthier. Another task that Papadogiannakis had pursued was the building of a church dedicated to Christ's Ascension. That's why he had formed a committee, which addressed wealthy citizens, asking for their financial support. All efforts made by Papadogiannakis, the Agricultural Society and the several committees aimed to the sanitation and development of the area, as well as the cure of the place of the rumors about healthiness of Georgioupoli, since a lot of people believed that it was impossible for the moors to be desiccated, supposing that they were caused by the underground moving waters of lake Kourna. The lake, the only one on the island, was called Corissia during ancient time. The surrounding mountains are reflected in the water turning from pale green to dark blue and a sandy strip surrounds the lake. On its north - west side there is a rich vegetation, consisting of bushes, branbles, reeds and wild trees, while on its east side the vegetation is more gentle. Several myths relate to the lake and its forming and it is really remarkable that the lake is never flooded. Several amounts of money had been spent since the foundation of Georgioupoli - some given by the government and the rest given by the people, the Society, or gathered by the committees. A lot of articles were published in magazines and newspapers, as well as official decrees, reports and orders, concerning Georgioupoli. Today the town is a beautiful resort. A lot of things have changed in these 110+ years since its inauguration, in 1893. Luxurious hotels and restaurants are built and lots of tourists spend their vacations in summer, enjoying the landscape, crystal sea-waters, friendly hospitality and entertainment. Georgioupoli is the crossroad to and from Chania and Rethymnon. Comparing today's life and situation in Georgioupoli, our thoughts go back in late 1890's and early 1900's, to that lonely man, Miltiades Papadogiannakis, and his efforts to create a new town, eliminate swamps and moors, planting all those eucalyptus trees, which still stand, whispering through time his name, over a healthy, beautiful and constantly growing and developing town.